It would have been nice to be blogging now after surviving the first day, but I didn't. I got knocked out after the dinner break. I made the fatal mistake of not getting settled down after having to rush eating and getting back late to the table. I didn't follow my rules. My mind was in a fog and I didn't take time to analyze a simple play. I had 3 pro players at my table - from Denmark, Australia & Canada. Monica Reeves, who's going to be on TV in the fall playing elimination Blackjack on CBS is the one who took most of my chips. She's got 44,000 chips (about 13,000 from me) after day 1. T.J. Cloutier, Antonio Esfandiari, Phil Gordon, Mike Matusow, Jennifer Harmon, Jennifer Tilly, Steve Dannemann & Sammy Farha also got knocked out today. 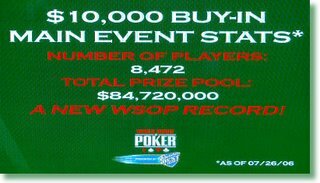 I'll do a final WSOP blog when I get home. 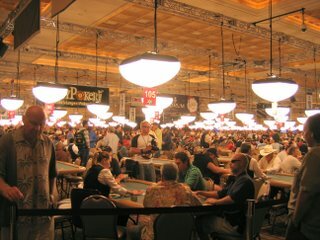 Phil Hellmuth, Doyle Brunson, Howard Lederer and several other big time professional poker players are gone after the first day. Because of all the delays, I ended up getting to the Zagat award winning Steakhouse at Camelot at the exact same time as Humberto the Bertmeister, well known king of Palm Springs recycling. He was also solo, so while chatting as we waited, we decided to dine together. He's a big time crap shooter and he had a bunch of hotel points he needed to use, so after an excellent dinner, he treated.. that was very nice of him and keeps my lucky winning streak going. Tomorrow is going to be the second craziest thing I've ever done and those that know me understand that I'm just saving the first crazy things place just in case. No more blogging until I get home from the Rio, hopefully around 3am or so. 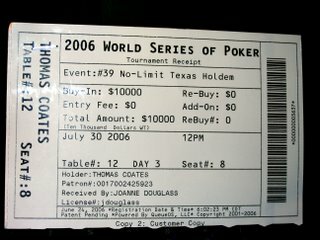 Here is my ticket to the 2006 WSOP. PokerStars has a breakfast for the players each morning. It's almost getting exciting. Yowzer... I'm going for a swim. Day 1A ended at 3:12am. I'm going for a morning swim, then breakfast, pick up the pokerstars.net stuff, then it's back to the burbs for Pirates of the Caribbean, then to the Excalibur to complete my British Isles eating tour at the Sir Galahad's Pub & Prime Rib House and early to bed. 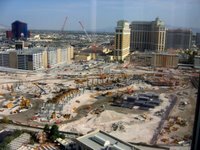 Here is the Monte Carlo pool, the Rio Casino where the WSOP is being held and as I said earlier, all of Las Vegas is under construction. 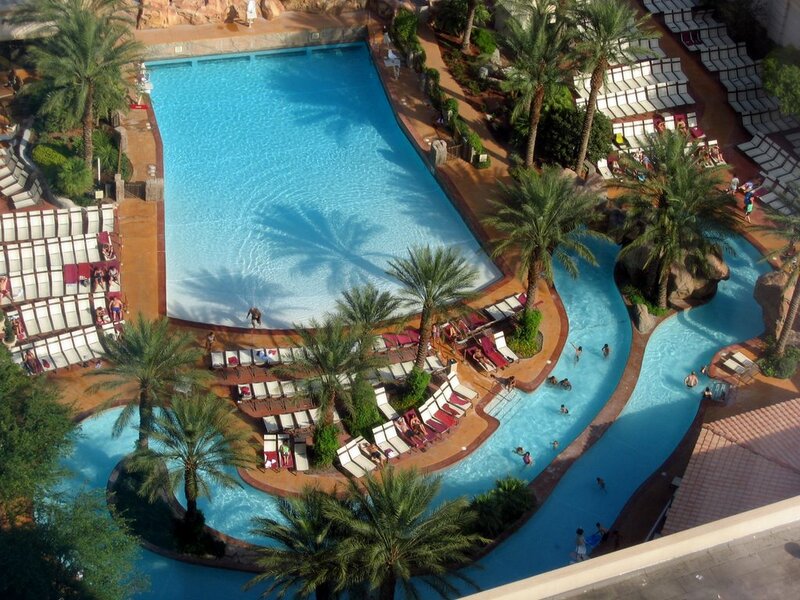 The Monte Carlo has a wave pool, a Lazy River (which if you are taller than about 4 feet, is hard to swim in, so rent a tube), a hot tub spa and a regular pool. It's nice in the morning because the hotel puts the whole pool area in the shade until about 10:15am. 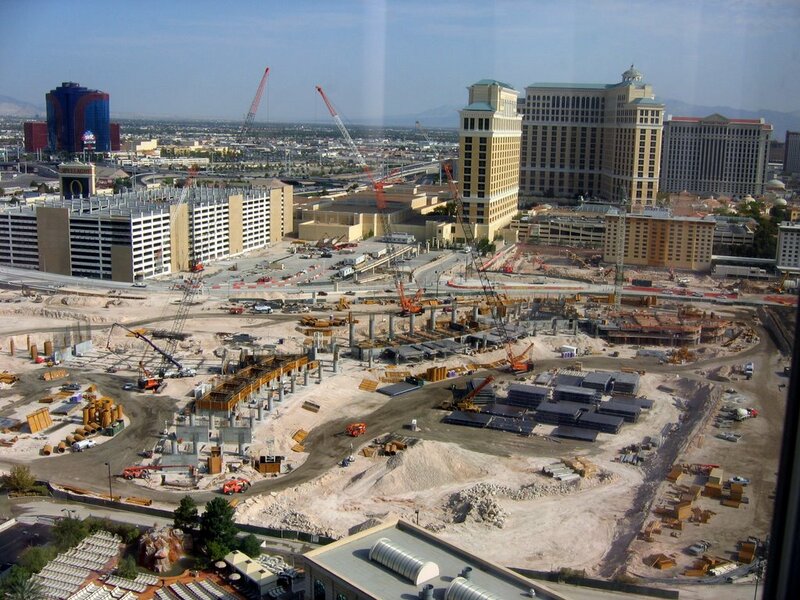 The weather in Vegas today is sort of mild - it's only 86F this morning. I think that the massive thunderstorms cooled things off. I'm finally getting a clue and wearing shorts. What was I thinking? 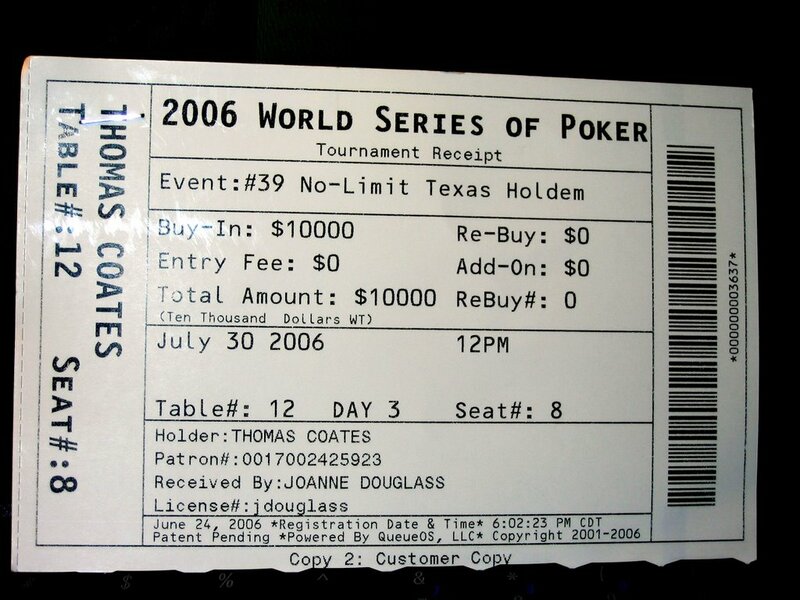 The 2006 World Series of Poker has begun. I checked it out before the Penn & Teller show. I had my first poker celebrity sighting - Scotty Nguyen. Currently, he's got about 30,000 chips. It's after 12:30am and there are still 990 players left out of 2,138 and they have to get down to 800, so it's going to be a late night. I'm going to bed really early on Saturday. The Penn & Teller show was a lot of fun.. Not too much blood. Tonight I ate at the Twisted Kilt pub in the Rio. So last night it was Irish and tonight it was Scottish... 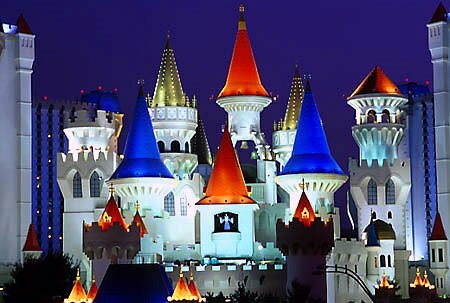 I guess I better heard over to the Excalibur for dinner on Saturday night to make a complete British Isles circuit.. There are officially at least 8,200 participants, over $82,000,000 in prize money and the word on the street is that there will be up to 500 alternates per day. Lucky for me, the "Grinder" is playing on day 1A, so I can easily stay away from him until the 2nd day. Look for me on Sunday. 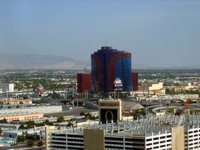 Luckily, my Garmin GPS gizmo, which I call Ma'am (as in Yes, Ma'am when it tells me where to go and gets me there even if I make a wrong turn), got me out the Summerlin NV, home of the Suncoast Orleans casino and Century 16 movie theater. I saw the new Miami Vice movie starring Jamie Foxx & Colin Ferrell with a south Florida mullet. It's a typical slam bang action flick by Micheal Mann, so if you liked "Heat" and "Thief", you'll like it... it's even got a flagrant Jackson Pollock reference. Although because I'm me, my favorite part of the whole movie was when in the last 5 minutes or so, Sonny says: "A guy named Frank will come and pick you up in a boat". I know all of my movie group people know about my claim that 80% of all movies have a character named Frank, so even though you didn't really see Frank and he's not in the credits, there still was a character named Frank, which is all that counts. I'll report back later after I get back from the Penn & Teller show. I had an excellent dinner tonight with Terry & Peg and was able to catch up with them. I saw Terry about a year ago when he played in our sort of monthly Texas Hold Em games at Dreamland, but I hadn't seen Peg for maybe 10 years. We went to the Irish Pub in New York New York called the Nine Fine Irishmen. They have an excellent 4 piece Irish house band and they played some rollicking tunes. Peg & I were testing each other on trivia and even though she's Irish, she didn't know what "Beyond the Pale" meant.. The phrase beyond the pale, meaning to go beyond the limits of law or decency, was in use by the mid-17th century. The phrase is a reference to the general sense of boundary, not to any of the particular places, such as the English Pale in Ireland, which bore that name. Out of the many pales established in Ireland, (Cork, Dublin, Drogheda, Waterford, and Wexford) only a select few followed the laws established by England, Hence within the Pale and beyond the Pale. My 6th Sense is already working.. I found 6 cents in my hotel room under a lamp, so that seems like an omen to me... I've been in Las Vegas for 3 hours and I'm in the plusage... as Ken would say: "Not bad". I'm meeting my old buddy Terry from Qantel and his wife Peg for dinner tonight. We're going to an Irish Pub in New York New York. They are here for Terry's birthday. I had about 60 lbs. 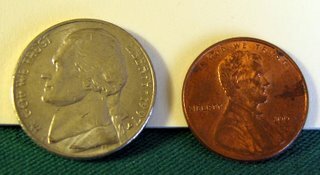 of coins laying around, so I stopped at Primm, which is right on the CA/NV border and traded them in for $285, so that's my playing around money if I need any. I'm hoping that I'll be too busy to play around. 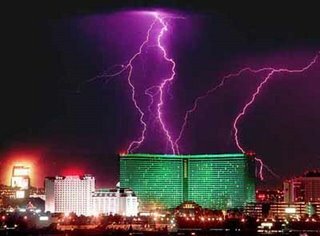 There was a tremendous lightning storm right on the border, so here's a real photo of lighning hitting Las Vegas that I didn't take, but you get the idea. For my cube-mate, Steve - the temperature in Bakersfield at 9am ,when I stopped for gas at Costco ($3.07/gallon) was 100F. 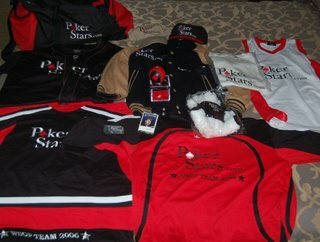 Because I won the pokerstars.com satellite, I won 9 free days in the Monte Carlo hotel (more when I keep winning), but you have to wear some kind of PokerStars logowear... here is a preview of the goodie bag I'll get when I arrive. One duffel bag (top left), big enough to carry two watermelons or a medium-sized dog. My cousin thought it would be a great idea to have an outdoor wedding in Hollister in July. I don’t know if he was nervous, but it was the sweatiest wedding I’ve ever seen. It was 109 and it was next to a duck pond, so we had humidity also. I’ve been in hotter weather, but just usually just walking from my car into an air conditioned building. It was brutal. Congratulations to Jason & Valerie and I know they will have a lifetime of happy air conditioned years. I feel that I'm the best prepared as I can be. 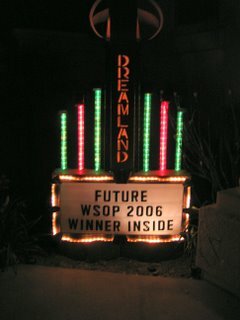 I've gained a massive amount of Texas Hold Em knowledge in the past couple of months. I've tested out new theories. 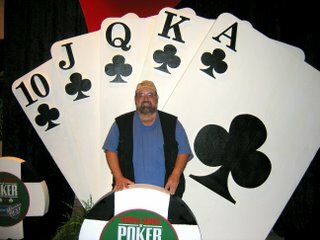 I tested out massive bluffing last time I played with Jay, Glenn, Mike, Stefan, Steve, Keith and Tim and I didn't get called once, so I know I'm not giving anything away easily. Jay bet Mike from Omicron $300-$100 that I wouldn't cash and now that there might be as many as 10,000 players, it should probably be more like 900-1, but I feel confident that Jay will have to pay off. I just got an oil change and my A/C recharged for the drive to Vegas. I recently installed a MP3 changer in the trunk, so I'll have about 1000 songs to listen to on the trip along with Phil Gordon's "Little Green Book" of poker on CD. 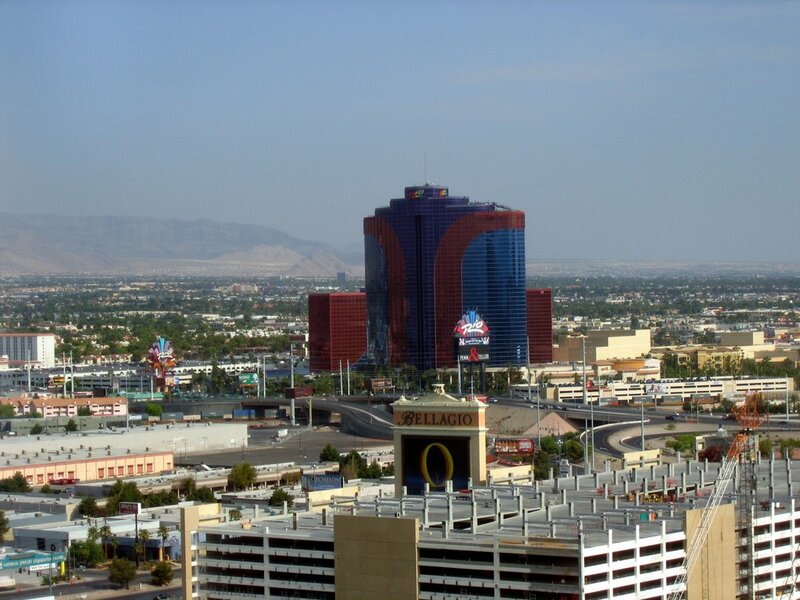 Thursday Jul 27: Drive to Las Vegas, check in with Pokerstars & get swag, shirts & hats. 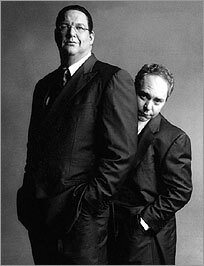 Friday Jul 28: relax, more poker book study, go over to the Rio and check out the lay of land & see Penn & Teller Show (I've got a seat in the front row) in the evening. Beyond August 3rd - getting near to cashing - hopefully I'll still be playing and have to get to bed early again. 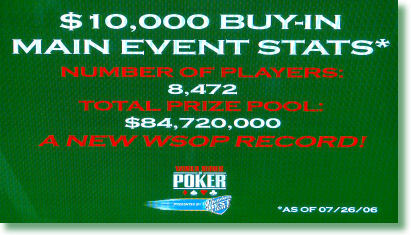 August 10th - Final Table - who won da money? probably $10 Million for the winner.